When we were children, we all heard about the importance of eating a good breakfast before school. As adults and busy professionals, we often find ourselves grabbing something like a coffee or a protein bar as we drive to work. What if we didn't skip breakfast due to lack of time, but due to limited resources? Did you know that in North Texas (Eduphoria's home base) 1 in 4 children live in food-insecure households? How does hunger impact the classroom and our teachers? Kindergarteners who experience even minimal food insecurity at home learn less than their peers do during that formative year. Those who experience higher food insecurity fall even further behind…. Undernourished elementary school students have lower math scores and are more likely to repeat a grade level. They are also more likely to have seen a psychologist and have a harder time getting along with their peers. 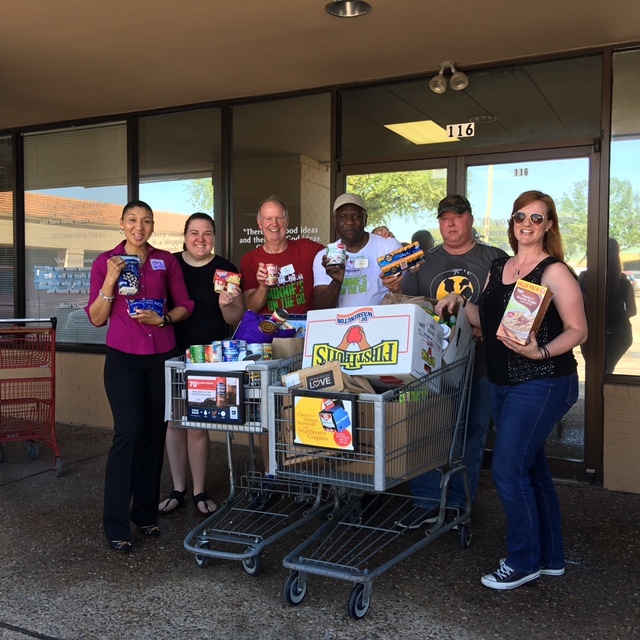 Our Eduphoria family decided to band together with Minnie's Food Pantry to help in our own backyard. We not only received donations from our employees, but other businesses in our office building stepped up as well, and the result was quite impressive. The staff and volunteers at Minnie's Food Pantry were gracious and grateful as they helped unload the donations. Since some children depend on their schools to provide 2 out of 3 meals a day, please consider donating to your local food bank or pantry during the summer months to help fill the gaps while students are out of school. xi Winicki, J. & Jemison, K. (2003) "Food Insecurity and Hunger in the Kindergarten Classroom: It's Effect on Learning and Groth." Contemporary Economic Policy, Vol. 21, No. 2.